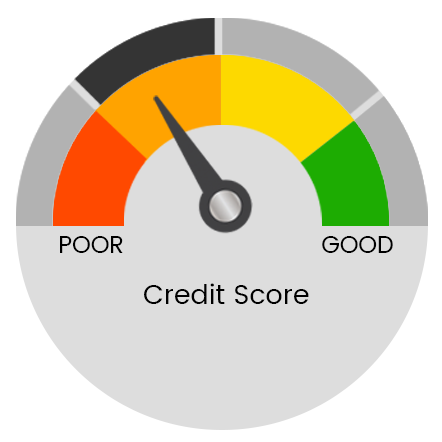 A major component in the approval process when purchasing a home or refinancing a mortgage is your Credit Score. Ideally you would want to have a score in the 700’s for best case pricing on interest rates but some loan programs will go down to scores as low as 580. When we pull your Credit Report we are pulling information from the three credit bureaus; Experian, TransUnion, and Equifax. Approval decisions will be based off of your middle score and if there are two people on the loan then it will be the lower-middle score that is used. For example, if your scores are a 704, 726, and 730 while your spouse has a 699, 685, and 650 then everything will be based off of the 685 score even though your middle score is a 726. If you have questions about credit reports or credit scores send me a PM and we can go over your specific scenario.